Good facilities in room such as full size fridge, microwave and oven; comfortable bed; very close to shopping centre, restaurants and lake. Coffee machine, cleanliness, proximity to everything, friendly staff. very spacious, plenty of room for a family of 4 in the 2 bedroom apartment. Without prompting the beds were made up correctly. Nice clean room and balcony. Quiet when the door was closed. 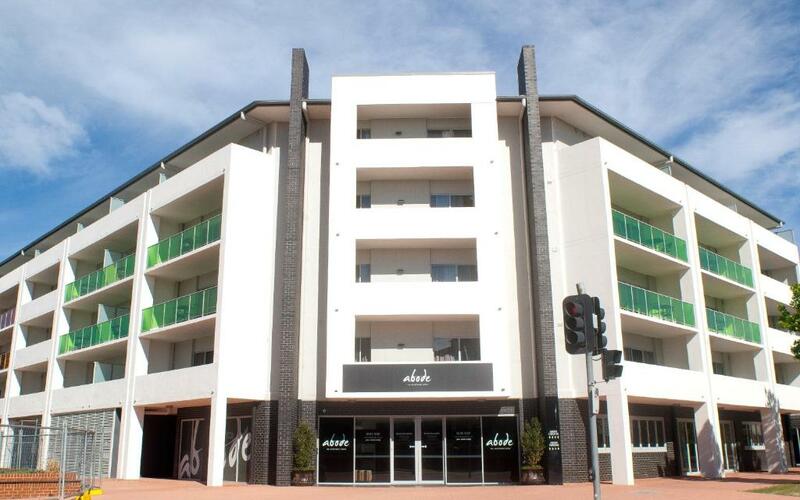 Lock in a great price for Abode Tuggeranong – rated 8.5 by recent guests! Abode Tuggeranong This rating is a reflection of how the property compares to the industry standard when it comes to price, facilities and services available. It's based on a self-evaluation by the property. Use this rating to help choose your stay! 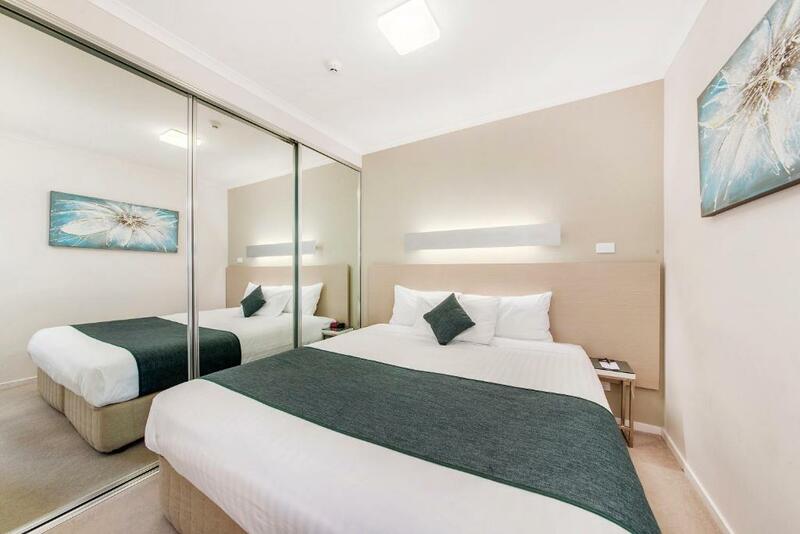 Offering self-contained accommodations with a balcony that has mountain or city views, Abode Tuggeranong is 5 minutes’ walk from shops and restaurants. The property is 20 minutes' drive from central Canberra. Guests enjoy up to 500MB of free WiFi per day. 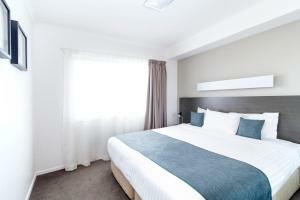 Tuggeranong Abode Accommodations is 20 minutes’ drive from the Parliament of Australia. It is 25 minutes’ drive from Canberra International Airport. Each air-conditioned apartment has a fully-equipped kitchen, a dining setting and laundry facilities. All include a living area with a desk, a sofa and a flat-screen TV with cable channels. Some accommodations offers a sofa bed. Other facilities include a 24-hour business center and free covered parking. When would you like to stay at Abode Tuggeranong? This studio is stylishly appointed and features a kitchenette with a refrigerator, microwave, stove top and a dishwasher. 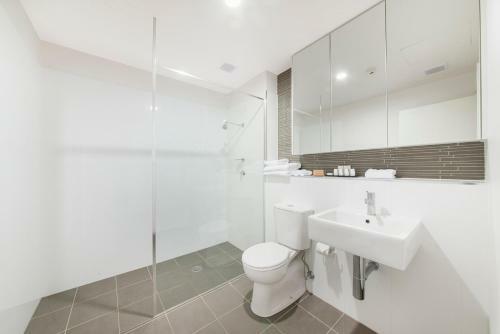 It also includes a desk, a satellite flat-screen TV, laundry facilities and a bathroom with Peter Morrissey toiletries. This suite is stylishly appointed and features a kitchenette with a refrigerator, microwave, stove top and a dishwasher. It also includes a desk, a satellite flat-screen TV, laundry facilities and a bathroom with Peter Morrissey toiletries. 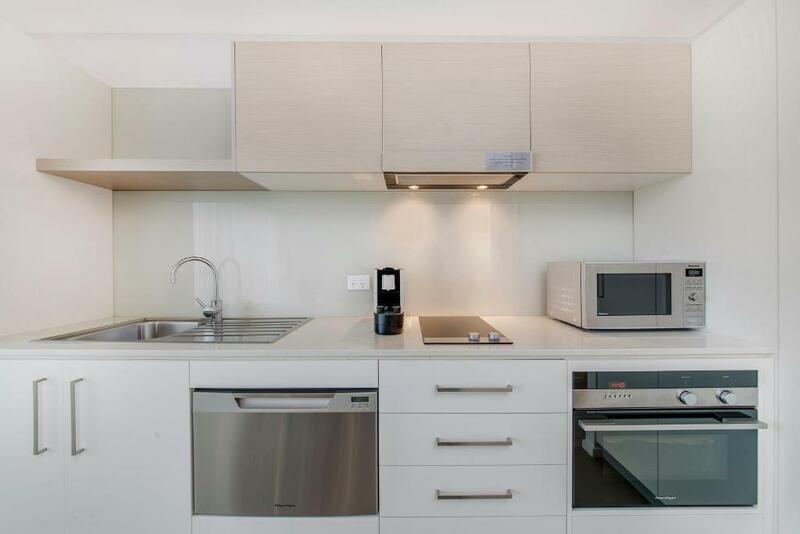 This air-conditioned apartment is stylishly appointed and features a kitchenette with a refrigerator, microwave, stove top and a dishwasher. It also includes a desk, a satellite flat-screen TV, laundry facilities and a bathroom with Peter Morrissey toiletries. Please note that the fifth guest will be accommodated on a sofa bed. 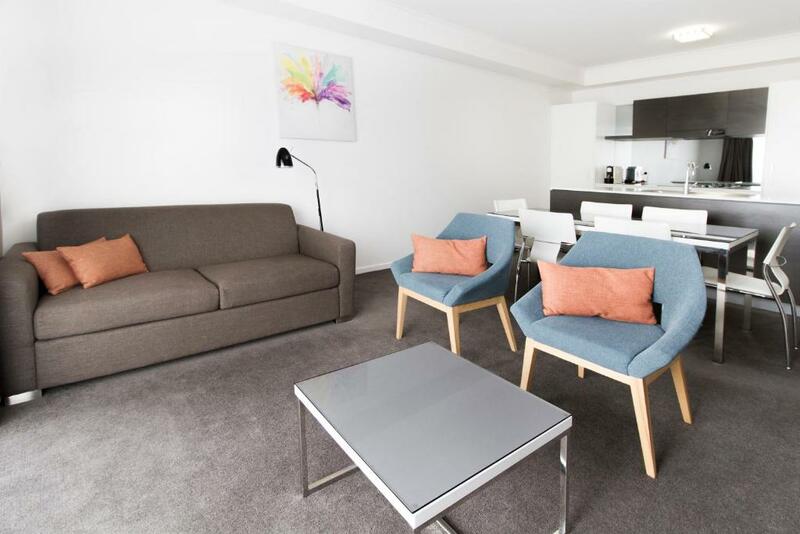 Abode Tuggeranong is located on Anketell Street in the suburb of Greenway and is on the way to the snowfields of Corin Forest, Perisher and Thredbo by way of the Monaro Highway, making it easy for a quick and comfortable stopover before hitting the slopes! 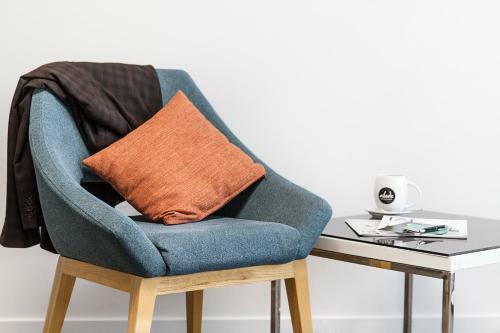 House Rules Abode Tuggeranong takes special requests – add in the next step! Abode Tuggeranong accepts these cards and reserves the right to temporarily hold an amount prior to arrival. If you expect to arrive outside reception opening hours, please inform Abode Tuggeranong in advance. You can use the Special Requests box when booking, or contact the property using the contact details found on the booking confirmation. Please note that there is a 1.3% charge when you pay with Visa credit cards. Please note that there is a 1.59% charge when you pay with Mastercard credit cards. Please note that there is a 2.75% charge when you pay with American Express credit cards. Please note that there is a 2.93% charge when you pay with Diners Club credit cards. Please note that after hours call outs for lost keys may incur an additional charge. Please note that free WiFi is limited to 500MB per day. King bed was two beds pushed together but the join was very noticable whilst laying on bed. Bedroom was very squished, not enough room to fit a king bed. Big shower which was great but the rest of the bathroom was quite small. Bed was comfortable and property was in a great location. Price was reasonable for the quality. Casting for tv was difficult. The room was barely clean and we had to wait past checkin time for them to finish cleaning. Staff were unhelpful when it came to explaining anything. Carpets were dirty. Reception didn't answer phone and no information for guests re services. Fairly noisy from upstairs. Toilet bowls are quite small so someone with a larger derrière would find it uncomfortable. Close to where I wanted to go. The bedroom was very compact. Not much space around the bed. Only a few minor obvious repairs needed doing, screen door to balcony not on runners, balcony could do with a bit if a clean. Behind front door hole in wall from top hinge. And door to fridge needs new track to open fridge with door. 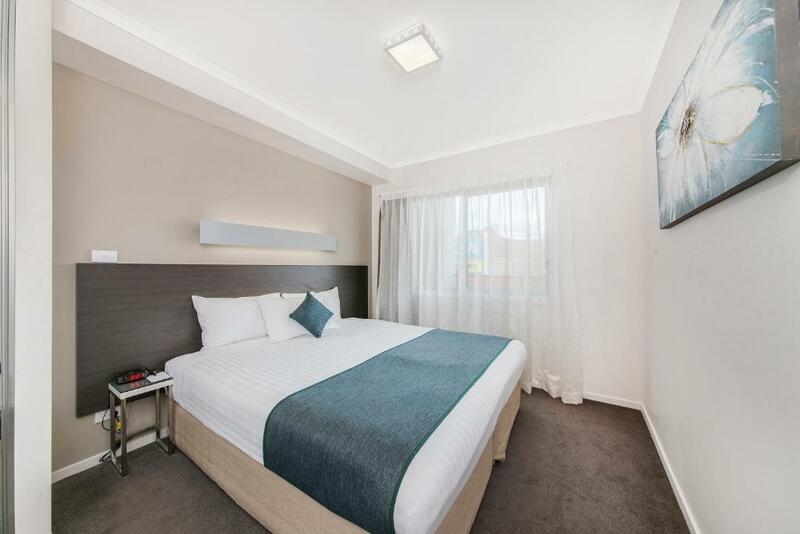 Fantastic place to stay for visitors to the ACT! So close to shopping, restaurants all across the street! Room was so clean, even though showing some signs of wear and tear. And the coffee shop on the ground floor had amazing coffee and eats in such a small space! Found navigating around Canberra so easy from here.